Have you ever wanted to know anything and everything about Science-Fiction? Welcome to the DredgeLand Podcast Spectacular, live in front a studio audience of at least seven people. Recorded at the Southampton SuperPod Comic Relief event our mad trio John and Andy brought the live studio on tour to a small hotel room near a boat. 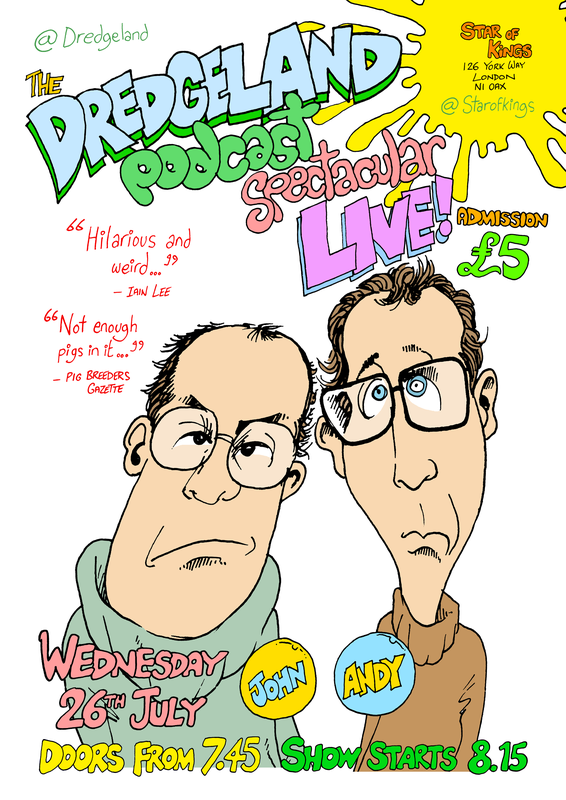 Broadcast simultaneously on Hove’s Hove FM (the third most popular radio station in Hove), Andy Harland and John Dredge present a podcast of powerful peculiarity in front of an audience of human people. Join our heroic duo as they journey from Hove Railway Station to the DredgeLand HQ and Studio. On the way, not only do they encounter three local people, they visit a car park (upper level) and take a fascinating trip into the local Post Office.